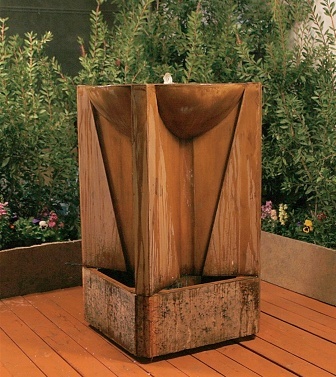 Turn your backyard into a championship backyard with the beautiful Trophy Water Fountain. More than just garden art, beautiful and eye-catching design that is contemporary, stylish and delightfully abstract. Supported by a sleek angled base, water bubbles up from the round centerpiece at the top, spilling over into the square basin beneath. Made of GFRC to give the genuine texture and appearance of stone that will outlast traditional cast stone and at a substantial weight savings. 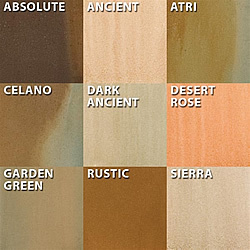 Our fountains provide value pricing, superior craftsmanship, and minimal maintenance. Made to order it ships within 4 to 6 weeks and will arrive securely packed on a pallet.